Bow saws and loppers at the ready! Come join us as we tackle the invasive species Rhododendron Ponticum an invasive plant that has plagued the area for many years. The National Trust is working hard to tackle this problem but they need your help! 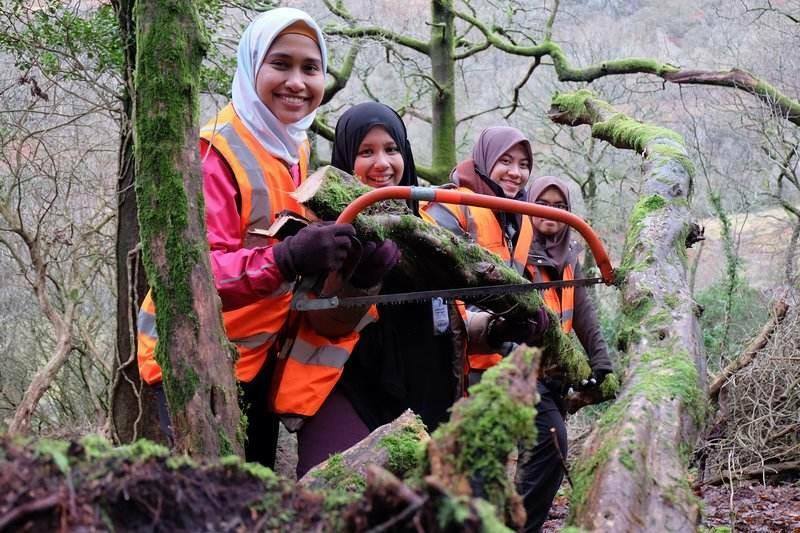 Come help keep Snowdonia wonderfully diverse as we clear the plant and construct habitat piles instead encouraging native wildlife to flourish once more!